Tuesday December 4th… Dear Diary. The main purpose of this ongoing post will be to track United States extreme or record temperatures related to climate change. Any reports I see of ETs will be listed below the main topic of the day. I’ll refer to extreme or record temperatures as ETs (not extraterrestrials)😊. 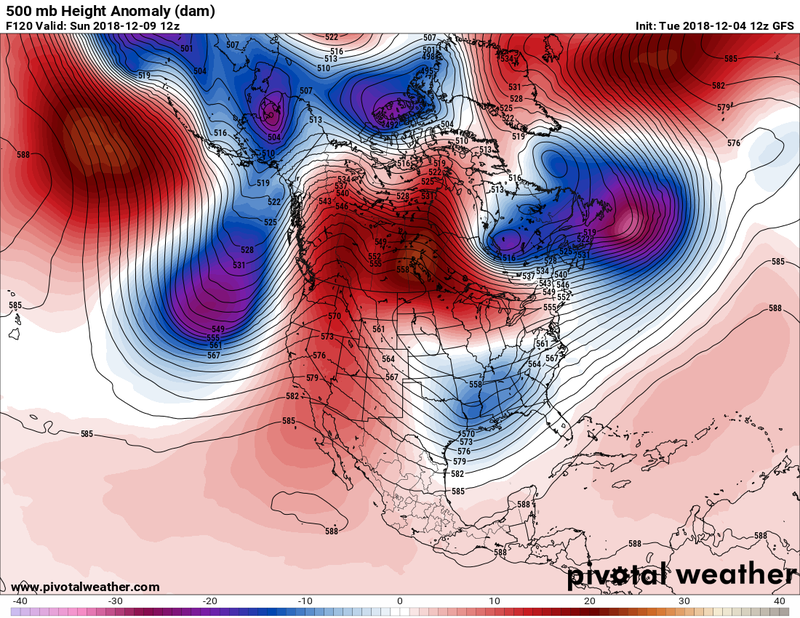 Old Fashioned Winter Storms…How Long Will They Last? 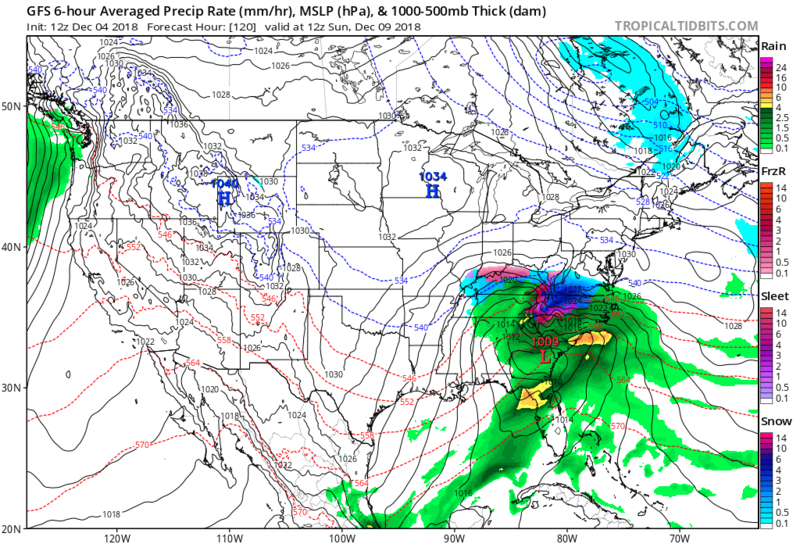 Meteorological models have been consistently forecasting a significant ice and snow storm for interior portions of the U.S. South for the better part of a week valid for this coming weekend. I don’t have much doubt after perusing charts this morning that the Carolinas will see a whopper of a winter event by Sunday. The climate across the south-central and southeast U.S., while warming, has not changed enough to prevent “rare” winter events. 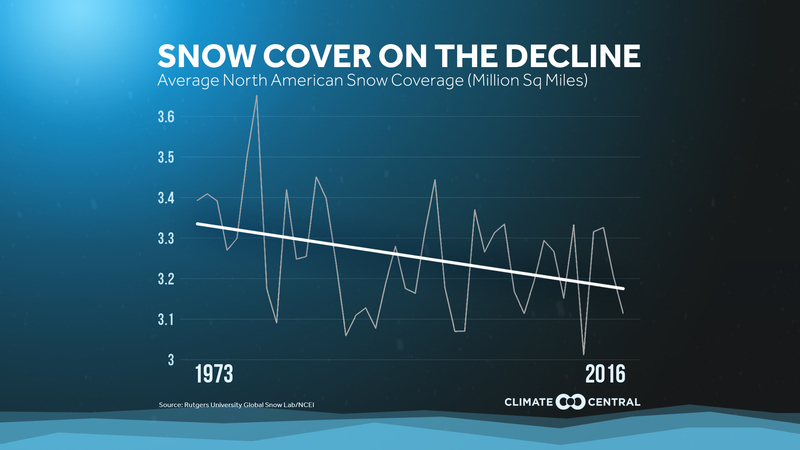 I’d often and mistakenly say at The Weather Channel during the warm decade of the 2000s that it was now nearly impossible for snow to fall in my home town of Atlanta due to global warming. Due to jet stream amplification from time to time, though, I’ve been proven wrong, at least through 2018. Last December north and west Atlanta had a tremendous snowstorm with up to a foot falling early in the month across Cobb and Paulding counties. My question for this post is when will the atmosphere due to carbon pollution get so warm that rare winter events for southern climes worldwide end? Potential for widespread/intense flooding will be on the low side, because this system is moving at a good clip. However, it will be drawing on lots of moisture, esp. for this time of year, so there could be some bursts of very heavy rain/snow. Here we see a storm system with a surface low moving just north of the Gulf Coast and a strong “wedge” of below freezing polar air filtering from the Northeast into the Piedmont area of the Carolinas. I’ve seen this weather setup countless times over my lifetime since I was a boy during the 1960s. Since the superstorm or “Storm of the Century” in March 1993, though, at least in Atlanta we’ve seen fewer winter events, such as severe ice storms, and snows have become “wetter” events, or marginal rain/snows near 32F. There is nothing extraordinary here except for a suspect warm anomaly in Canada forcing cold heights that probably will become a closed, cold low over the Southeast by Monday. My question, which cannot be answered as of this time, is when systems won’t be split off from the main polar vortex, creating rare southern storms? Will global averages need to achieve +1.5C, +2.0C, +390C above preindustrial conditions or higher? Certainly we are still not seeing the end of southern snow and ice at +1.0C, and certainly not in more northern traditional ski resorts, although the trend for snow across the northern hemisphere is down. Check out the graphics on the Wxshift article and explainer video by Burnadette Woods Placky, as well, for a better visualization. When I see three or four consecutive winters of no flakes in Atlanta we will know that true winter climate change has happened. Until then, just expect most Southern on camera meteorologists to wince at reporting science since the thought of including climate segments, especially during a week like this when flakes are forecast to fly with a chance for ice to produce havoc. To end this post let me state that I can’t wait to see an OCM in the Atlanta area be brave enough to present counterintuitive material…come on people, just one. “I wish that I could be the #Terminator in real life."